Martha’s Vineyard Online (MVOL.com) is the No. 1 online and mobile destination for visitors to Martha’s Vineyard. Acquired in 2017 by the Vineyard Gazette Media Group, MVOL is the ideal first stop for anyone considering a trip to the Island — starting with how to get here, where to stay, what to see, and where to eat while you are here. Our Island-based team of professionals works closely with local businesses to increase their visibility through our comprehensive online and mobile platforms. 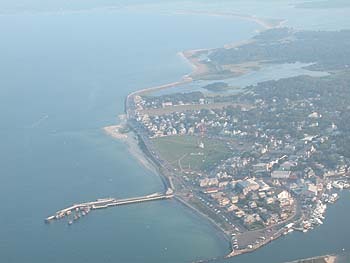 Founded in 1995, Martha’s Vineyard Online began as an online directory for Martha’s Vineyard businesses, earning it the title of “The Official Site of Martha’s Vineyard” from Yahoo. MVOL’s rich online experience leverages more visitors spending more time looking for things to do and places to visit on Martha’s Vineyard. Please browse our site and feel free to give us your feedback by sending an email to: [email protected].